JTVLAN enables to stream and view digital TV (DVB-T) across the network. 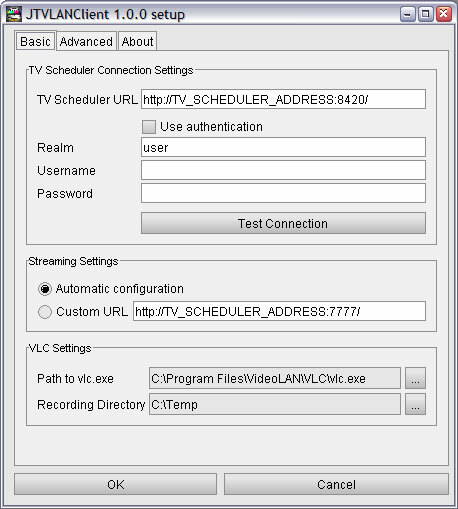 JTVLANServer is installed on a server machine equipped with a DVB-T capture card, and JTVLANClient to receive and display the audio/video stream generated by the server. JTVLAN enables to stream and view digital TV (DVB-T) across the network. It includes a server component (JTVLANServer), which should be installed on a server machine equipped with a DVB-T capture card, and a client component (JTVLANClient) which can receive and display the audio/video stream generated by the server. JTVLAN uses and glues together different software technologies to accomplish this result. 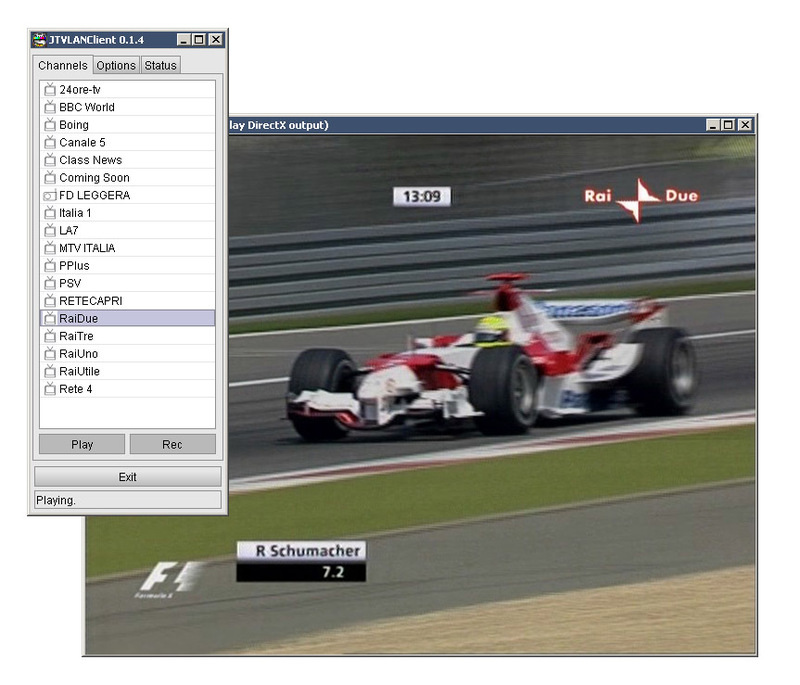 This version supports TV Scheduler Pro Rev.164 and later.